This carved ring is just 'charm'-ing. 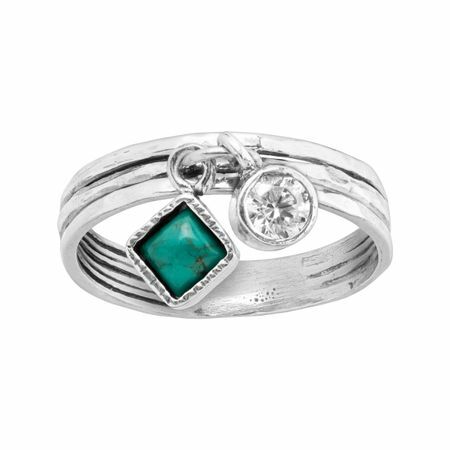 Compressed turquoise and white cubic zirconia are bezel-set in petite charms that suspend from a carved sterling silver band. Ring face measures 1/8 inches wide. Piece comes with a “.925” sterling silver stamp as a symbol of guaranteed product quality.